HAPPY HOUR – PIMMS AND GIN TOGETHER AT LAST! Yesterday was one of those days in London when the sun comes out and people take their tops off in public. While we’re not quite brave enough (or drunk enough) to do that, Celia and I decided to shut our laptops down and spend the afternoon in the garden. Which frankly, was one of my best ideas yet. 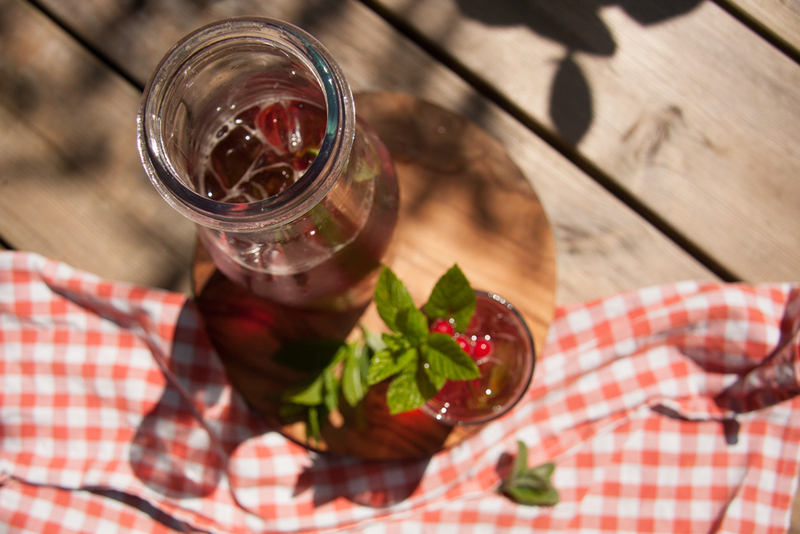 This is a little number we concocted after several attempts to combine gin and Pimms for the ultimate garden punch. 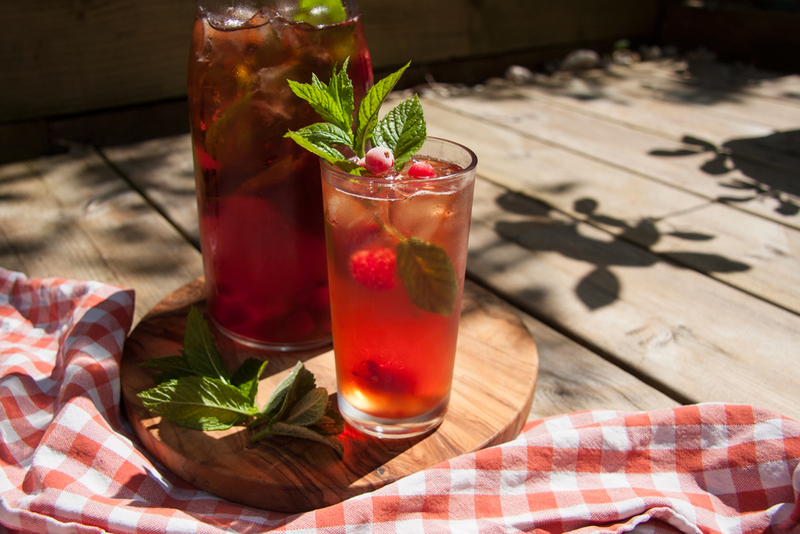 It’s sort of a gin and tonic with Pimms… or a Pimms and cranberry with gin… either way it’s delicious and refreshing. It actually ends up looking quite christmassy, which would be perfect for a southern hemisphere chrissy drink. We also made a kiddies version and let them drink theirs in ‘real glasses’ as a special treat. Pour 4 nips (1 nip = 30ml shot) of Pimms and 2 nips of gin over ice in the jug. Then add cranberry juice up to halfway, and top it up with tonic. Add in the raspberries and fresh mint and give it a good swirl around. You could chop the raspberries and mint to add some more flavour if you fancy it. 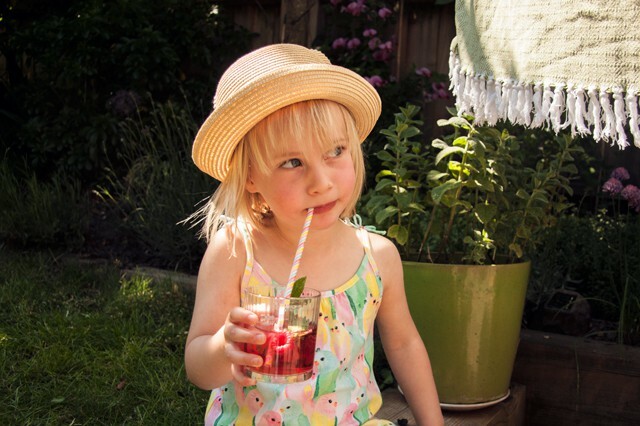 We mixed lemonade and cranberry juice, then added fresh mint, raspberries and a fancy straw.